Dipa Karmakar will be attended by her personal physio Sajad Ahmad in Rio prior to her Final in gymnastics. Dipa Karmakar will get the personal attention of her physiotherapist with Sports Authority of India (SAI) urgently rushing Sajad Ahmad to the South American city in order to help her land India’s first gymnastics medal. The Tripura girl had initially asked for the physio before departing for Rio but the physio didn’t travel despite the approval from SAI. 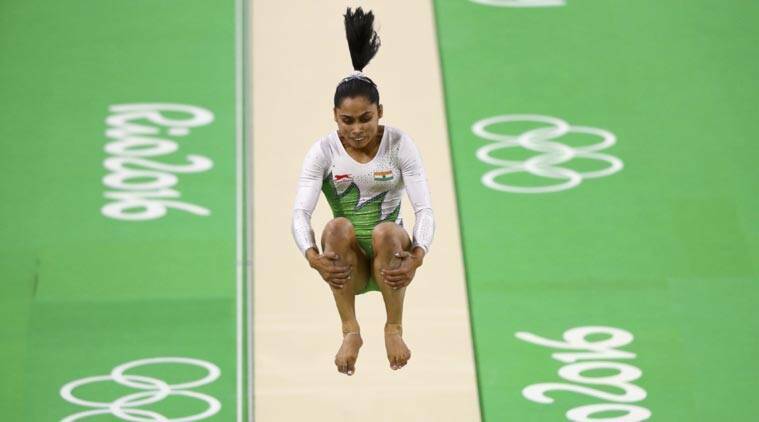 Dipa and her coach Bishweshwar Nandi have requested Sports Minsitry and SAI to fly in her longtime phsyio now that the 23-year-old is in the Final after qualifying in the vault apparatus, reports The Telegraph. The report says SAI had approved the trip to Rio but for an unknown reason, he didn’t travel with his ward. This forced Dipa to work with the physio attached with the Indian contingent in Rio de Janeiro. Sports Minister Vijay Goel who is in Rio has also pushed the ministry to make sure Dipa gets everything she needs before her final on August 14 afternoon local time. One IOA official said, “We support the decision of the ministry to send the physio. Dipa has turned out to be a medal contender and she should be given all support,” as per the report. It has already been clear that requests for physios and staff by other members of the contingent have been denied earlier with Rohan Bopanna travelling with his personal physio. The development also allowed shuttler Parupalli Kashyap to share that the badminton team’s physio in 2012 wasn’t allowed to enter the arena because of lack of accreditation. “Our Physio for badminton team Couldn’t enter the main arena as he was not given an accreditation,” he tweeted.